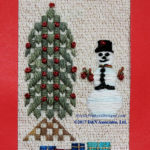 I wanted a quick, fun stitch one Saturday Eve. 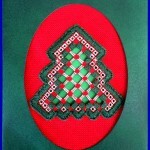 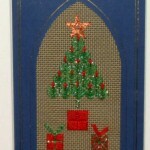 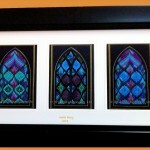 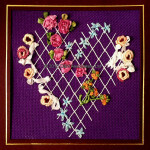 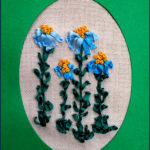 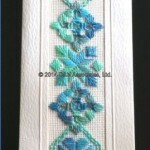 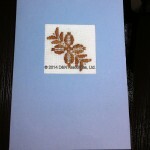 I browsed Nordic Needles free patterns, choose and downloaded a design called Box Lid Design. 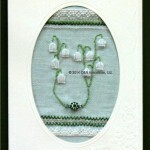 Design by Roz Watnemo of Nordic Needle, Inc.
Card, Lily of the Valley[/caption]What a neat week I have had. 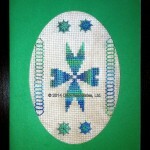 My sister Carol came for a visit, we chatted and stitched … quite enjoying ourselves.